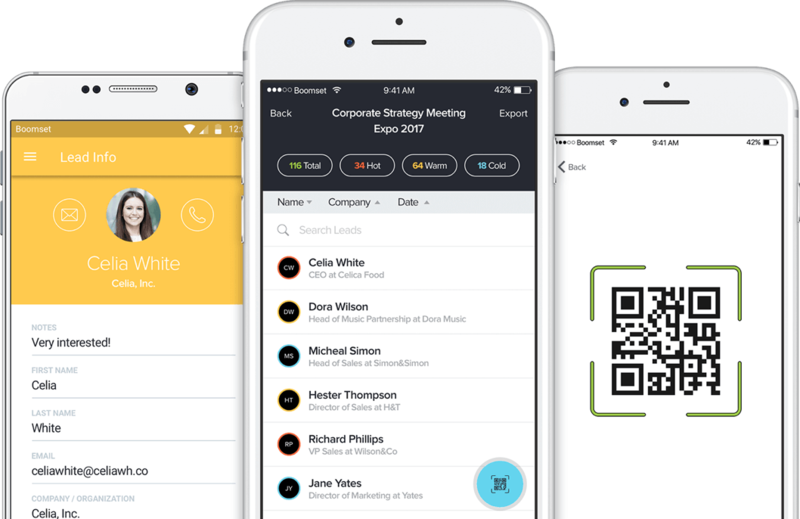 Scan leads, take notes, and prioritize potential business for easy networking on the event floor. Instantly export information to make post-event follow up easier than ever. Take control and visually see the results of your event traffic on a customizable app. Copyright © 2017 Boomset, Inc. All Rights reserved.